Radio New Zealand reports: Vanuatu’s foreign minister, Ralph Regenvanu, has dismissed criticism from the Indonesian government for including the United Liberation Movement (ULMWP) for West Papua in its meeting with the UN High Commissioner for Human Rights, Michelle Bachelet. In a statement, the Indonesian Ambassador to the UN strongly condemned Vanuatu’s action, claiming the country. A group of UK parliamentarians have welcomed the handing over of the West Papuan People’s Petition to the United Nations High Commissioner for Human Rights, Michelle Bachelet. 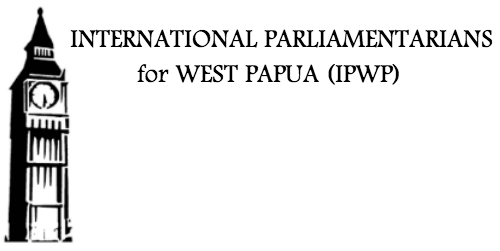 In a statement, the All-Party Parliamentary Group on West Papua, representing parliamentarians from all of the UK’s major political parties, said: The All-Party Parliamentary Group on West Papua. PORT MORESBY: National Capital District Governor, Honourable Powes Parkop is renewing his call on PNG Government to review its position on West Papua and support a legally-supervised referendum for the local Papuans to decide whether they still want to be integrated with Republic of Indonesia or become an independent State. His call comes amidst the.